6● Who gave himself a ransom for all, to be testified in due time. Brethren, i want us to look at this bible verses critically and see what we ought to do as believers of the word. Let me put it straight that there is only one mediator between man and God. He is jesus christ. He is the only way to get to the father. Stop running around churches looking for pastors that will help you mediate. 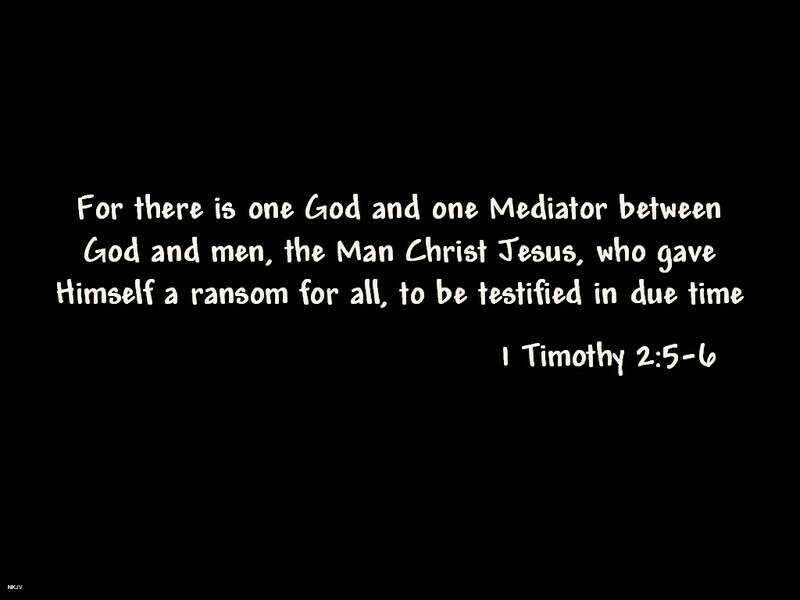 Look on to Jesus for he is the only mediator that gave himself a ransom. That pastor you always run to cannot give himself a ransom. I am not saying seeking spiritual counsel is not good but hey! It's high time you awake. Look on to Jesus, have a personal relationship with him and He will surely come to you only if you see him as your mediator. This is a food for thought and i pray that God will help us all.